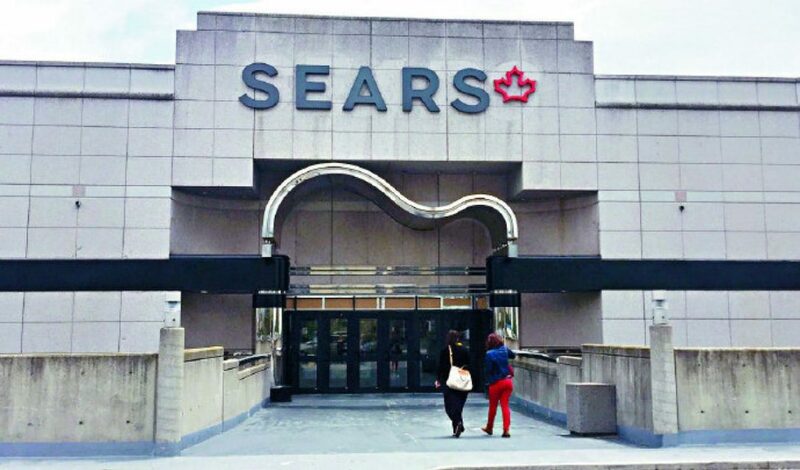 The Sears at the Scarborough Town Centre is undergoing renovations; considering the store is set to close within roughly 8 months, I suspect Sears will simply abandon the Renovations. Retail is dying; if you disagree you’re in denial. Wait until the last frontier; Grocery Store chains fold up, it’s coming. Agreed Christopher to an extent,..
Amazon platform is the new frontier. Sears is a dinosaur re retail and tried to play catch up way to late in the game. Online e-comm sales is were the future. Walmart who lost market share to Amazon is the next big kid on the block. This is why you have seen them roll out more online sales in the last 10 months. The numbers do not lie. Jim you filled in the blanks which I didn’t mention. Yes, you’re right e-commerce is the future. I see ‘Retail’ as brick and mortar stores, otherwise you complimented my comment well; thanks. Ironically enough, you will have to get them here: https://www.amazon.ca/s/ref=nb_sb_noss_2?url=search-alias%3Daps&field-keywords=kenmore+vacuum+bags&rh=i%3Aaps%2Ck%3Akenmore+vacuum+bags. I don’t think retail is dying, it’s just changing. There are new malls under construction everyday. What is dying is department stores. Consumers prefer specialty stores like H&M or Ikea. New malls are no longer anchored by 2-3 large department stores at the corners. Many are anchored by grocery stores like Walmart or Superstore instead. adora you don’t think but what you think isn’t what is happening. Retail apocalypse is happening in the USA, the largest economy in the world; it’s just beginning to start here in Canada. We are not immune to this considering most stores are US stores. You can’t base your notion it’s not dying because malls are still erected. Those malls will die. And what new malls are you referring too ?